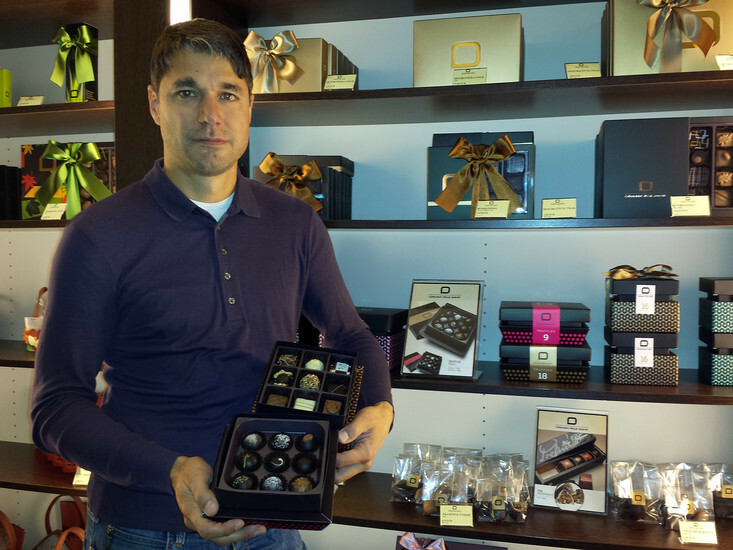 David Dobnik's family has been in the chocolate business for a quarter of a century, and has now expanded their retail operations with a second café in Ljubljana along the riverside on Cankarjevo Nabrežje. We recently dropped by to ask David a few questions about the family business, as well as taste how things are going for ourself. 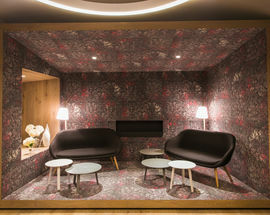 ​Čokoloadni Atelje Dobnik has always been a family business. How did it all get started? 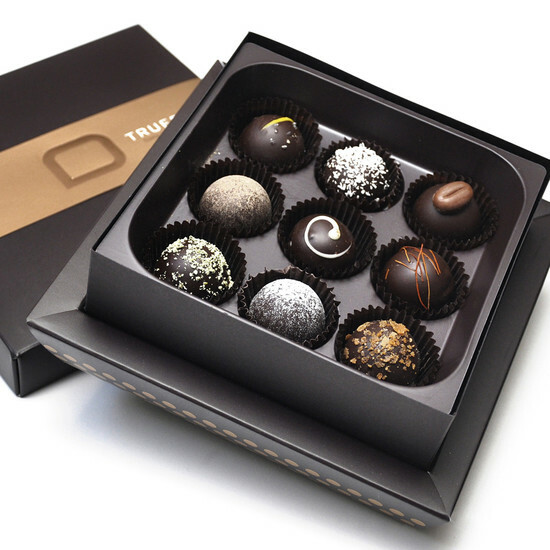 The company was started in our home kitchen, when my mother decided to leave her job as a language teacher and start producing chocolate pralines. She chose chocolate pralines, because of our Belgian friends, who had always brought this type of chocolate whenever they visited. This was more than 25 years ago, and we were actually the first small chocolate producer in Slovenia. 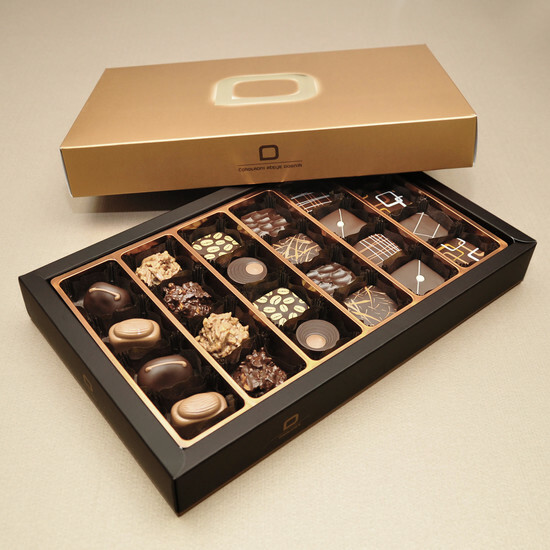 What makes Dobnik's chocolate different? There are lots of things. First of all, we only use the highest quality ingredients, and then our workers prepare everything manually by hand. When it comes to our selection of different chocolates, we really spend a lot of time and effort finding the perfect combination of flavours for everything we produce. Where does the inspiration for new flavours come from? The inspiration comes from travelling around Slovenia and Europe, but also all around the world, searching for interesting and new tastes everywhere we can along the way. 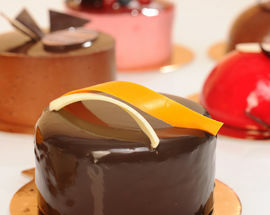 What are your best-selling sweets? 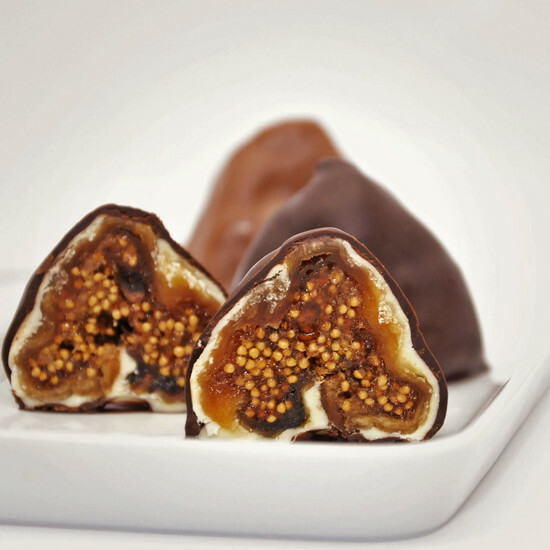 Our best-sellers have always been our chocolate pralines, which come in many different varieties, flavours and packages, while our most famous specialty are dried figs covered with chocolate, which we've named after Slovenia's most renowned poet and cultural icon, Dr France Prešern. 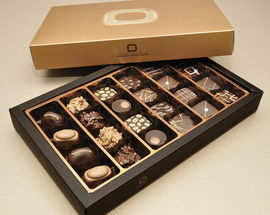 Which of your chocolates do you think makes the best gift for tourists? 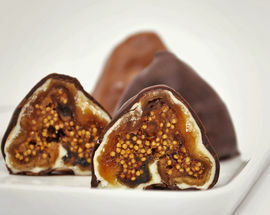 Our Prešeren Figs (or Presernove fige in Slovene), probably make the most unique gift for tourists to take home with them. 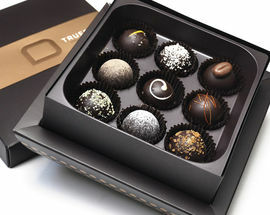 They're elegantly packages and obviously very tasty, a truly original item from Ljubljana and Slovenia. 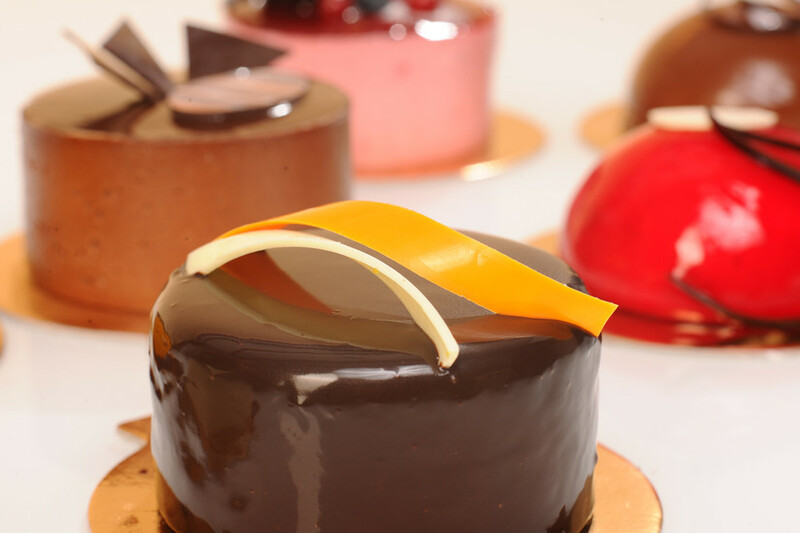 Of course if you're thinking of gifts to bring friends and family back home, you also can't go wrong with our pralines, or anything else for that matter – the more the better, everyone loves chocolate! 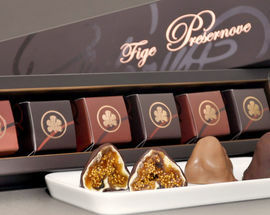 I have to admit that I still eat a lot of pralines, all different sorts - even after 25 years I can't get enough of them! 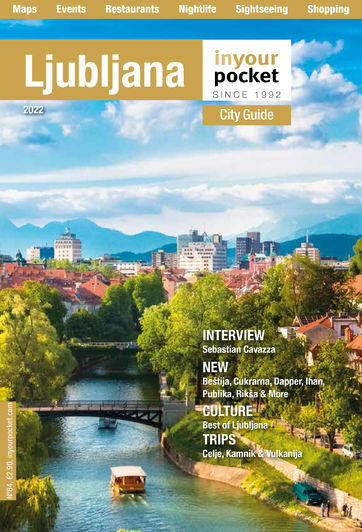 Can you tell us a bit about your new riverside location in Ljubljana? 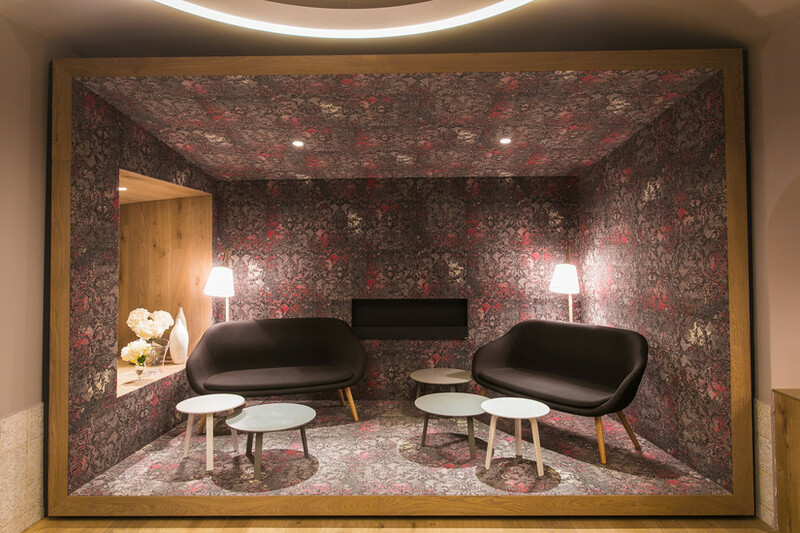 We are very happy to offer our customers a cosy spot in the heart of Ljubljana's old town, where they can relax, enjoy a good drink and eat some delicious sweets – we've probably got the best chocolate cake in town. The location is really the perfect place to stop for anyone strolling through the old town. Why do chocolate and coffee go so well together? Both are products of Mother Nature, grown from land and produced with great passion. I think that the combination of sweet chocolate and bitter coffee is a special treat. What kind of coffee do you serve at your cafés? We have classic Italian espresso from Illy and specialty coffee from a great local roaster from the town of Trbovlje called Iconic Coffee. It's produced by a young couple, who are both real coffee aficionados (the husband is a well-known professional cyclist). 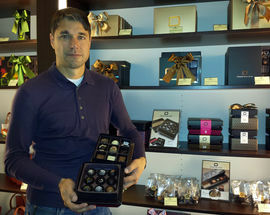 Can our readers find Dobnik chocolate anywhere outside of Ljubljana? 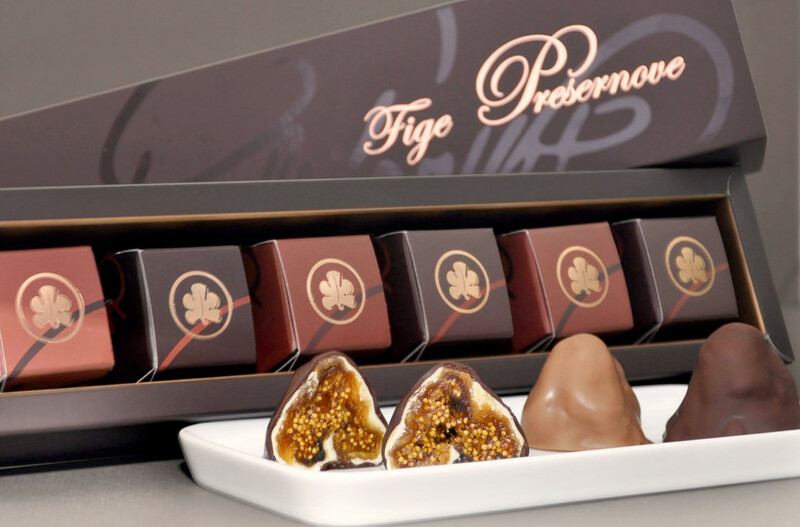 Outside of Ljubljana, we've also got shops in Maribor, Celje and Žalec, and Žalec is also where we produce all of our chocolate. If our customers have an address in Slovenia, they can also order directly from our website, and we usually ship the very next day.